Assemble your own collection of Avengers! This hanging piece of art shows Thor from Avengers: Age of Ultron. Composed of translucent, vibrant colors, StarFire prints are designed to capture the natural light of your room. 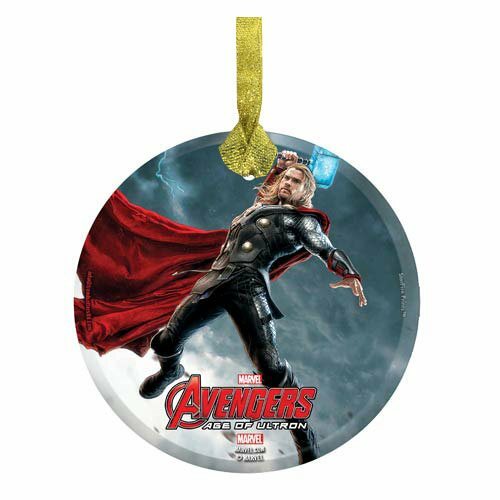 Measuring approximately 3 1/2-inches across, Avengers: Age of Ultron Thor StarFire Prints Hanging Glass Print is scratch and fade resistant and comes ready to display. Ages 13 and up.